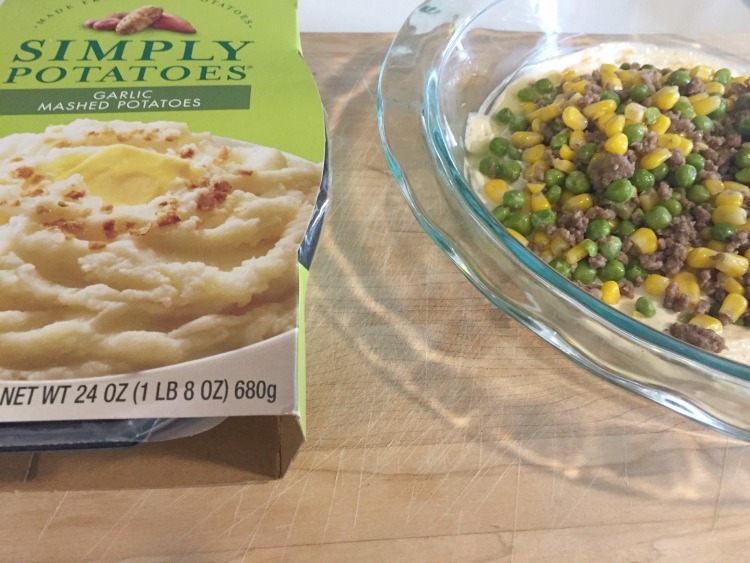 This recipe for Shepards Pie Dip has been sponsored by Simply Potatoes®. All opinions are my own. My husband is turning 40 soon and I’ve started to pick his brain about how he’d like to celebrate. He’s thrown out a few crazy ideas, but for the most part they’ve been fun. One of the things that gets deep into his soul is Shepards Pie. 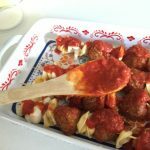 In honor of his celebration prep (we’re still on the party or not party fence), I created an appetizer just for him…. 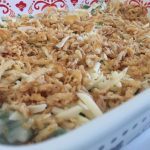 Shepards Pie Dip! 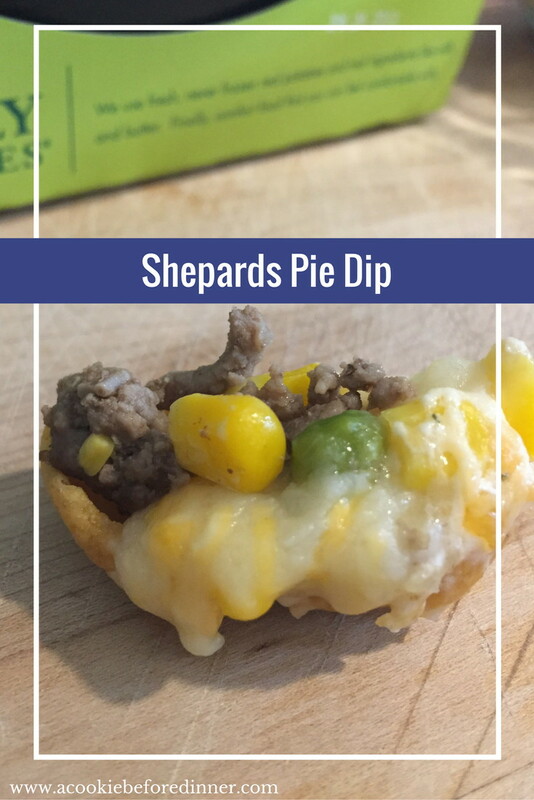 This Shepards Pie Dip has all of the flavor of traditional Shepdards Pie but it’s extra cheesey and creamy AND you get to use a chip (try with corn chips, it’s AMAZING). 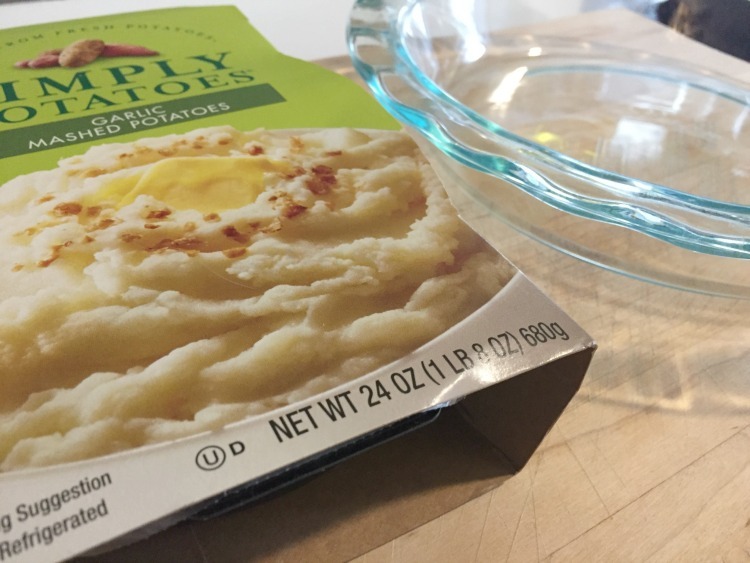 Shepards Pie Dip prep work: Preheat oven to 375 degrees. Combine ground beef, beef stock, peas, corn and garlic in a large pan. Cook until beef is no longer pink and the veggies are no longer frozen (about 15 minutes). Prepare Simply Potatoes Mashed Potatoes according to directions (I followed their microwave method and it worked out perfectly). In a small bowl, combine cream cheese, 1/4 cup shredded Monterrey jack cheese and french onion dip. Stir well and microwave for 45 seconds. Stir well again. 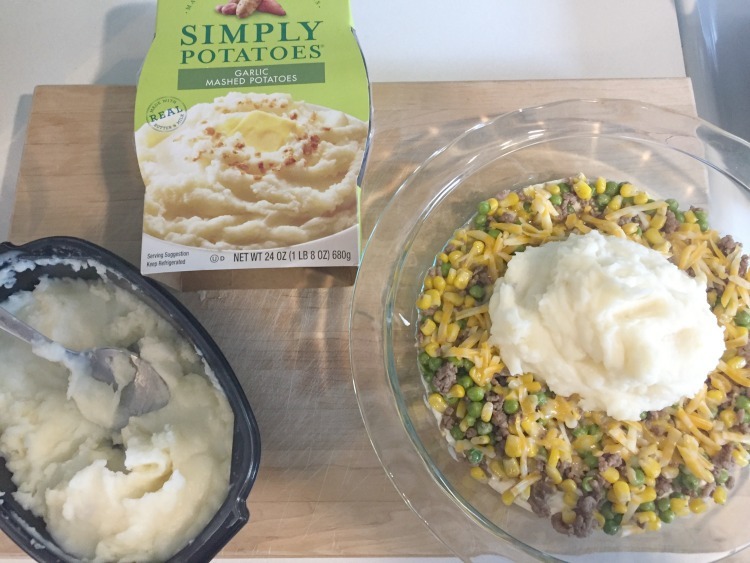 Shepards Pie Dip assembly work: In a shallow pan or pie plate layer together your prepared ingredients, starting with the cream cheese mixture. Spread evenly on the bottom of your pan as your creamy layer. Then, spoon hamburger / veggie mixture next. Spread evenly and top with 1/2 cup cheese. Spoon Simply Potatoes Mashed Potatoes next. Use a spatula and spread those evenly. Top with remaining cheese. Bake at 375 for 25 minutes or until hot and bubbly. 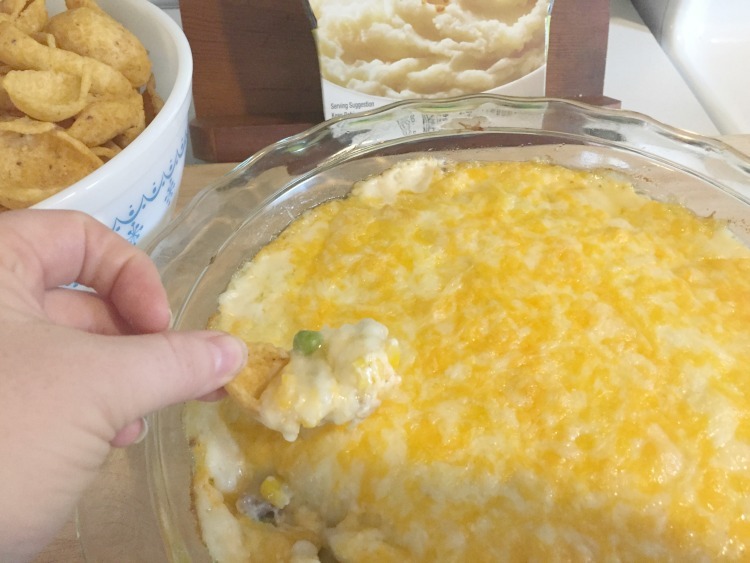 Serve with your favorite dippable chip. 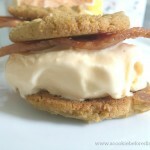 Yum right! 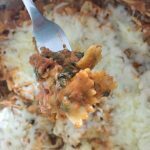 Try this recipe for Shepards Pie Dip today! And head to Simply Potatoes for even more great ideas. 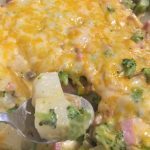 If you’re looking for a super yummy (and easy) weeknight meal, we can’t get enough of this Cheesey Ham, Potato and Broccoli Casserole! Giveaway time! 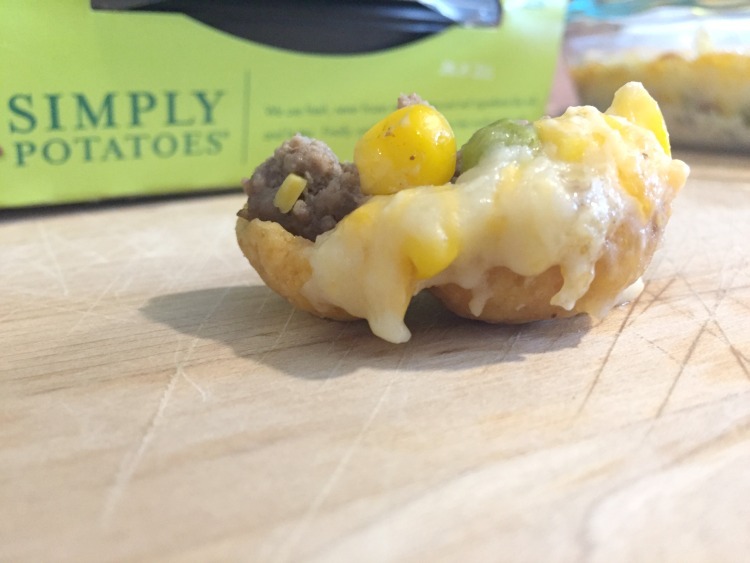 (1) One winner will receive 3 free product coupons from Simply Potatoes. To enter, visit Simply Potatoes and then come back and comment on what you’ll make. Winner will be notified via email and prize will be fulfilled by Simply Potatoes. 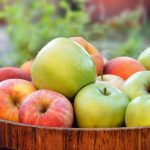 Giveaway ends 1/2/18. Valid in USA only.